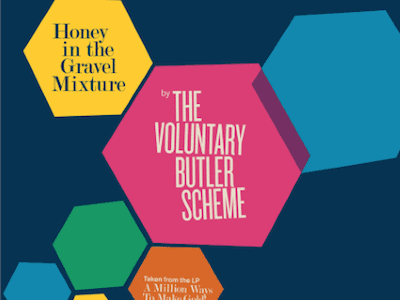 The Voluntary Butler Scheme may not be the catchiest name for a band, like Metallica or Guns N’ Roses, but it really suits their music down to the ground. They are our personal Voluntary Butler Scheme and by the end of the song the smile you find on your face makes it quite clear what their purpose is. 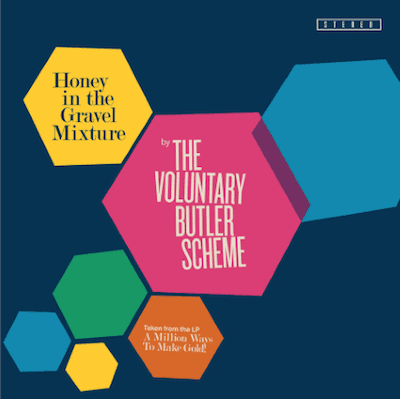 ‘Honey In The Gravel Mixture’ is the latest track taken from their newest album ‘A Million Ways To Make Gold’. This is the band’s subsequent endeavour to last year’s idiosyncratic Christmas song ‘Quinzhee’. Amazingly The Voluntary Butler Scheme is made up of only one very talented man, Rob Jones. The band was started in 2008 and has been gaining popularity and musical expertise since then. Not that Jones is short of talent by any means. He plays every single instrument himself, even during live performances. This song, ‘Honey In The Gravel Mixture’, is infectious. You will be taken over by its light, brisk drums and jazzy, upbeat trumpets that stick in your mind and sink into you as stubbornly as sun cream. The psychedelically seventies singing style is reminiscent of the beach on some scorching Californian coastline. His honest and simplistic lyrics are as lovely and refreshing as a rocket ice lolly. The gradual fading out of the bass instruments at the end while they stubbornly remain playing reminds me of Grease where for the big finale they take a break from their version of reality to magically fly up into the clouds and away from all the problems of the world. This optimistic and exceptionally catchy song feels like summer has arrived, even while in this country it definitely, obstinately, has not. If the winter blues are a problem for you, switch this song on and drift away to somewhere else. Most likely a place made of rainbows and sunflowers where everyone spontaneously starts singing and dancing together in unison at any given moment. Never suffer a down day ever again; just listen to this on repeat and you’re onto a winning depression antidote. They should actually prescribe this for anyone feeling a bit under the weather. It really feels like The Voluntary Butler Scheme have outdone themselves with this brilliant track. This funky song had us bopping our heads along and wishing July was here already. A brilliantly joyful masterpiece.